Here’s everything you need to know so you can impress your friends, colleagues and relatives with your extensive API testing knowledge. As well as actually planning and performing the API testing, of course. APIs are how computers (servers and clients) and software applications talk to each other. If they don’t work properly, large portions of your website or application won’t work either. Many APIs are mission critical for your business and not testing them thoroughly is asking for trouble. API testing requires an exhaustive test plan, just like any other type of software testing. A good test plan will mirror your specifications and other design documentation. Where the specs say that the API should do this and that, the test plan should include all the ways the user can get the API to do this and that, or fail to do it. A basic example is testing the API for logging into a user’s account. The design should’ve specified the expected chain of events as well as any error messages that might be displayed. At a minimum, the test plan should have one test case with a user logging in correctly, another with a user entering a User Name and Password that don’t match, a third with a User Name that doesn’t exist, and one where the Password includes prohibited special characters. The API you’re testing should be able to handle any unexpected behavior, so get creative and try to think of every possibility. Your end users are often distracted and can make the most unexpected mistakes. If you test for them and make sure that your APIs can handle those cases, you’ll minimize production problems – which is the whole point of testing in the first place. 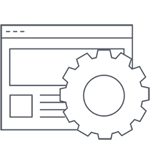 When it comes to executing your API test plan, you’ll want an automated testing solution that covers all bases. Most automated API testing solutions will allow you to test your APIs in house. Not all will let you test APIs against external users, which is critical. Load testing APIs with a tool such as LoadView API ensures that your APIs will function properly under real world conditions. LoadView API can create thousands of virtual users coming at your website or application from all over the world, or just your local region (depending on your target market). It tests the accuracy of the responses your APIs return, as well as how quickly the APIs perform under an increasing load curve. API load testing is crucial because your users are impatient. If they have to wait too long for your APIs to log them in or add an item to their shopping cart, they’re going to give up and take their business elsewhere. Once you’ve moved the new APIs into production, you’re going to need to monitor them to make sure that your system is up and running when it’s supposed to. Monitoring is really just regularly scheduled testing. 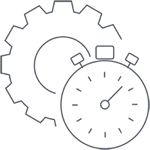 Your automated testing tool should let you schedule ongoing tests for easy, automatic monitoring.